According to NOAA scientists, the globally averaged temperature for 2012 marked the 10th warmest year since record keeping began in 1880. 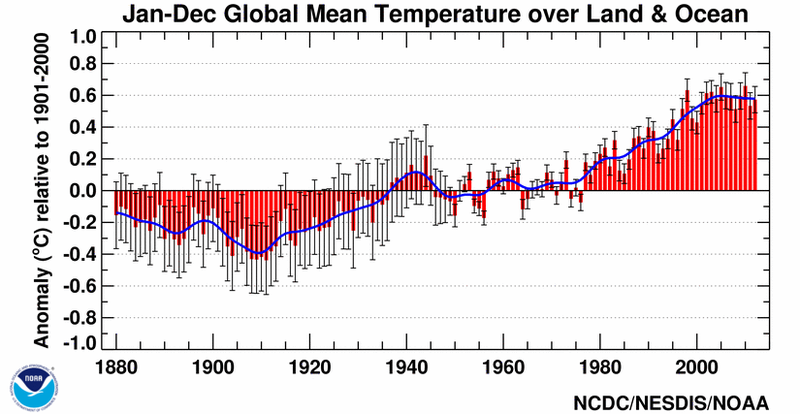 It also marked the 36th consecutive year with a global temperature above the 20th century average. The last below-average annual temperature was 1976. Including 2012, all 12 years to date in the 21st century (2001–2012) rank among the 14 warmest in the 133-year period of record. Only one year during the 20th century―1998―was warmer than 2012. Most areas of the world experienced higher-than-average annual temperatures, including most of North and South America, most of Europe and Africa, and western, southern, and far northeastern Asia. Meanwhile, most of Alaska, far western Canada, central Asia, parts of the eastern and equatorial Pacific, southern Atlantic, and parts of the Southern Ocean were notably cooler than average. 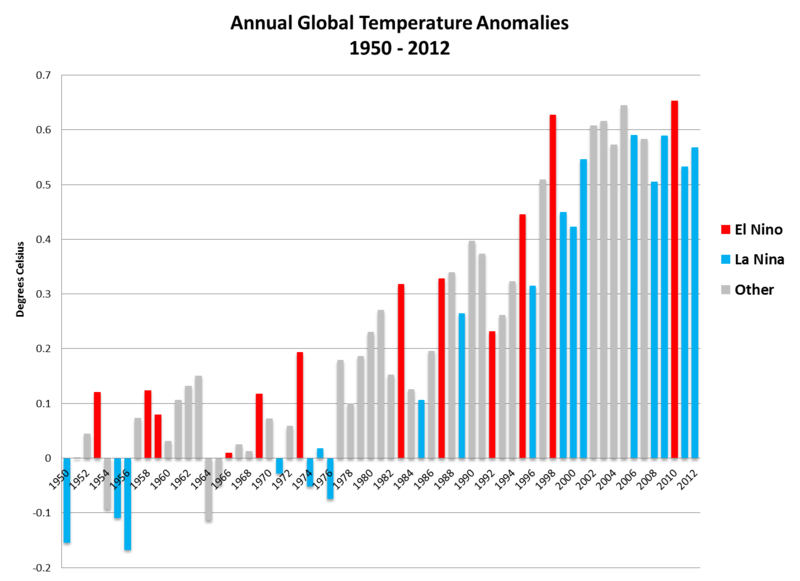 Additionally, the Arctic experienced a record-breaking ice melt season while the Antarctic ice extent was above average. This analysis (summary, full report) from NOAA's National Climatic Data Center is part of the suite of climate services NOAA provides government, business, and community leaders so they can make informed decisions.